At Wide North Outfitters we do our utmost to provide the best Alberta black bear hunting and wolf hunting experience possible. You can come with a bow, rifle, or muzzleloader and we will accommodate your hunting needs. 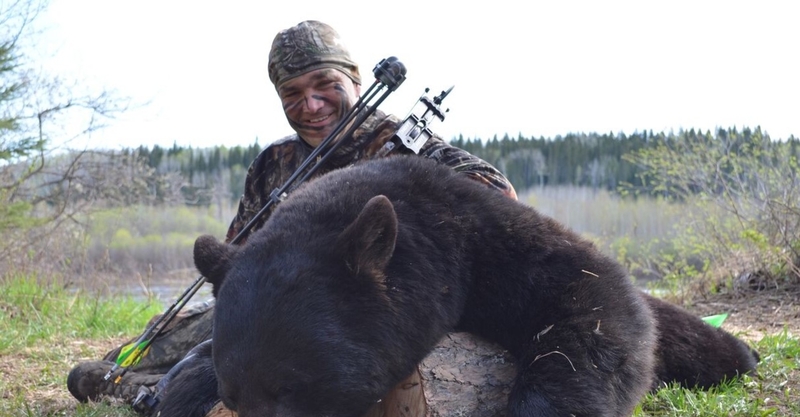 If you are looking for a very personalized, successful black bear hunt with many color phased & trophy bears or an exciting wolf hunt, look no further. Once you have hunted with us you will come back for more. 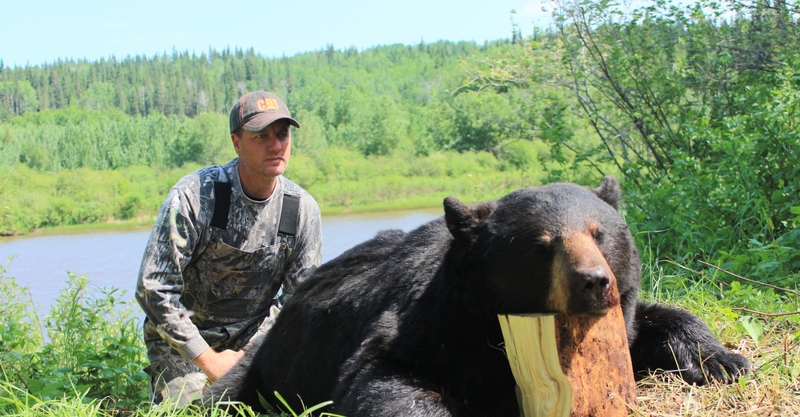 Wide North Outfitters offers black bear hunts in the remote wilderness of the Northern Boreal Forest, northeast of Slave Lake, south of Wood Buffalo National Park. The terrain is rolling hills with meadows, alders and big timber and home to trophy black bear. Our hunting area has a massive population of black bear and therefore we are allowed to offer two licenses per hunter. 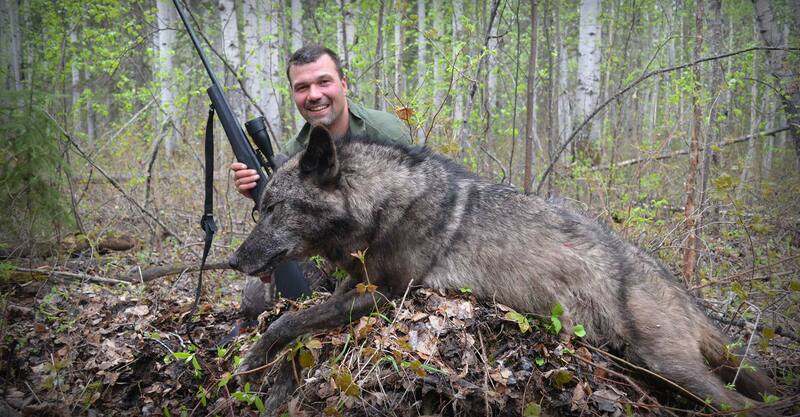 If you are interested in a wolf hunt, then our winter wolf hunt is perfect for you. Winters in Alberta can be very cold, however, the winter months are best for wolf hunting as they are easier to track in the snow. There is a large population of wolves in this area and to reduce the number of wolves killing off the moose, deer and elk, we can harvest as many wolves as we can find! Because we offer such personalized hunts, we can adjust our black bear hunting trips and wolf hunting trips to meet your needs. If you prefer baited bear hunts, we will set you up in stands or blinds at well scouted and proven active bait sites. If you want the thrill of spot & stalk bear hunting, we will take you where the big bears have been spotted. If a winter wolf hunt is what you are after, we will put you in a highly populated wolf area where there is no limit on the number of wolves you can harvest.